Their special day only comes once a year! Send them this festive box that is filled with birthday cheer! Including many festive goodies such as Gummi Bears, White Chocolate-Covered Pretzel Rods with Sprinkles, Birthday Present Cookie and so much more! 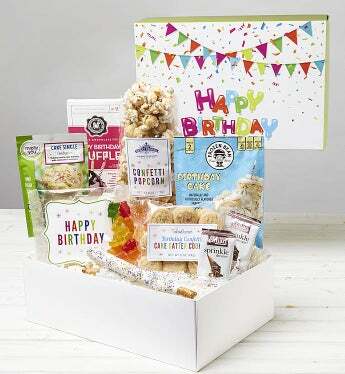 This box will send the best birthday wishes just for them, the best way to help celebrate!